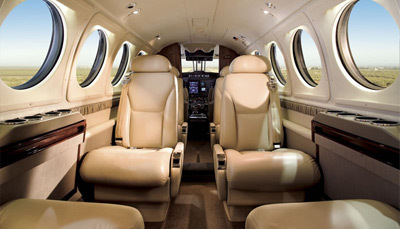 What better way to travel to Australia’s city of culture than on your own private air charter service? Being Australia’s second largest city, Melbourne has a lot to offer, in terms of wineries, music, architecture, beaches, sports, culture, and style. Aside from the arts and sights, Melbourne is also an important destination for many business and corporate guests who are simply visiting the city for conventions or meetings. Whether the visit is for business or pleasure, your charter flight with our company will make the trip all the more memorable by taking the hassle out of your travel allowing you more time to either relax or explore. If checking the skylines of cities has been one of your long-time travel habits, you will be able to find skyscrapers such as the Eureka Tower, which offers 360 views from its incredible sky deck. Next, the Federation Square is Melbourne’s prominent cultural hub. It is home to hundreds of film screenings, markets, concerts, and exhibitions annually. All in all, Melbourne is a city that warrants repeated visits and by using a professional service such as Flight Charter we can get you there in comfort and on time, every time. Melbourne is a kaleidoscope of colours when it comes to travel destinations in and around the city. Known for its art, culture and entertainment, the capital city of Victoria has something for everyone from the trendy rooftop bars and shopping districts through to sporting events and concerts, Melbourne provides plenty of opportunities to unwind, relax, and explore. Eureka Skydeck: The attraction is located in the heart of Melbourne and is recognized as the highest point in the city. Created to reach for the sky, Eureka Skydeck offers the highest southern hemisphere views and breathtaking views of Melbourne and its surroundings. SEA LIFE Melbourne Aquarium: The aquarium is one of Melbourne’s top family-friendly attractions. Located conveniently in a central CBD position, SEA LIFE Melbourne Aquarium is home to a spectacular array of marine life species. There are more than 12 different themes and zones to explore. Apart from being the ideal indoor attraction for rainy days, it is a wonderful place where fun and learning go hand in hand. Werribee Open Range Zoo: Spread out over a massive 225-hectare area, Werribee Open Range Zoo is one of Victoria’s most popular wildlife attractions. The spacious attraction offers the perfect African savannah experience and is home to wide range of animals, including rhinos, zebras, giraffes, etc., living in an open, natural environment. The grassy plains can be explored either by foot or aboard the safari tour. The Colonial Tramcar Restaurant: The Colonial Tramcar Restaurant is considered to be one of Melbourne’s most iconic attractions. It offers a unique culinary experience while touring the scenic streets of the city. Shrine of Remembrance: The monument was built in 1924 to commemorate the Victorians who gave their lives during the First World War. The Shrine of Remembrance features several memorials like The Forecourt, the bronze Gallipoli Memorial, and the Remembrance Garden. While the attraction seems to offer a sobering experience, visitors will be able to gain a greater appreciation and understanding of the country’s participation in major conflicts. Royal Botanic Gardens, Melbourne: Melbourne’s Royal Botanic Gardens was founded in the mid-1800s. Some must-see highlights of the gardens include the Perennial Border, the Gardens House, the Rare and Threatened Species Collection, and its region-specific plant collections. When looking for a professional, reliable, safe and comfortable and aircraft hire services to Melbourne charter service, Flight Charter is the preferred carried for individuals and groups from around Australia. 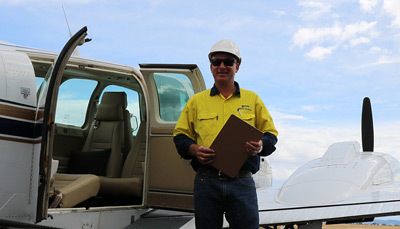 Our charter operators are all meet the stringent safety and operating requirements as enforced by CASA and have established relationships and clearance at airports across Melbourne and the surrounding areas. King Island Airport (KNS): Located about 120 miles away from Melbourne, King Island Airport features a single asphalt runway measuring 5,200 feet in length. It is also situated at an altitude of 131 feet above sea level. King Island Airport usually receives commercial air traffic from a number of carriers, which travel to and from regional routes. Moorabbin Airport (MBW): With 5 asphalt runways measuring between 1,800 and 4,300 feet in length, Moorabbin Airport is an airport located 12 miles away from Melbourne. The bulk of its traffic is from private and chartered jets, and it is used mainly by King Island Airlines. Essendon Airport (ESS): Essendon Airport is located at an altitude of 282 feet above sea level and is only 8 miles away from Melbourne. With two asphalt runways, it handles more than 60,000 aircraft movements every year. Since the airport also schedules both commercial air traffic and private aircraft, it is an excellent airport for private jet use. Melbourne Airport (MEL): Melbourne Airport serves as the hub for 5 domestic and international airlines. It is located approximately 8 miles northeast of Melbourne and is the second busiest airport in Australia. The airport has two asphalt runways that are designated in the 09/27 and 16/34 directions. As the primary airport serving Melbourne, the airport has a record of serving over 32 million passengers annually. Avalon Airport (AVV): Located less than 36 miles from Melbourne, Avalon Airport is able to handle both commercial and private jet charter flights. It sits at an altitude of 115 feet above sea level and has a single asphalt runway in the 18/36 direction. Portland Airport (PTJ): Situated at an altitude of 265 feet above sea level, Portland Airport is one of the airports near Melbourne that can cater to private jet charters. The airport features a single asphalt runway designated in the 08/26 direction. Albury Airport (ABX): Albury Airport is located about 200 miles away from Melbourne and can cater to private and chartered aircraft. As the airport serves multiple commercial airlines, it is able to service both local and international routes. The airport currently has a single asphalt runway designated in the 07/25 direction. Albury Airport also sits at an altitude of 539 feet above sea level. Book Private Jet Hire to or from Melbourne, Australia now! Flight Charter has built our reputation on the commitment and delivery in offering and providing an extensive range of air travel solutions for any sized budget or destination within Australia. Our air charter operators are experienced, reliable, professional and flexible to ensure all of your needs are accommodated with your flights in and out of Melbourne. For more information on our services, or to arrange a private air charter service, contact our Flight Charter head office today.